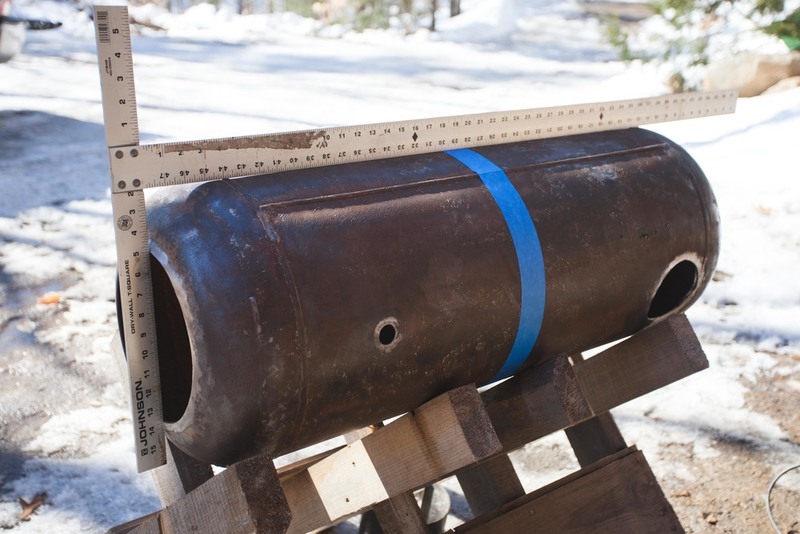 Building a rocket stove has been an elusive goal of mine for some time. 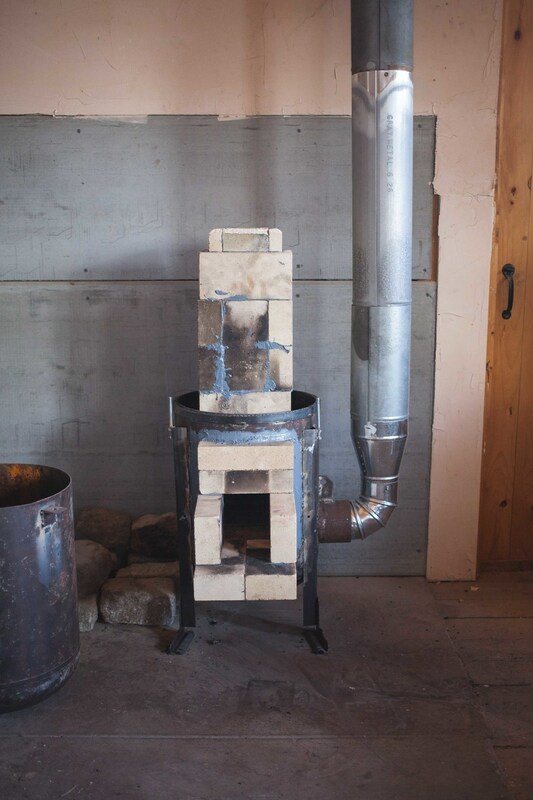 My original attempts at building a stove were solely for the purpose of boiling maple syrup and the effort I put forth was always a little incomplete and hurried. This time around I decided to build something worthy of my time. 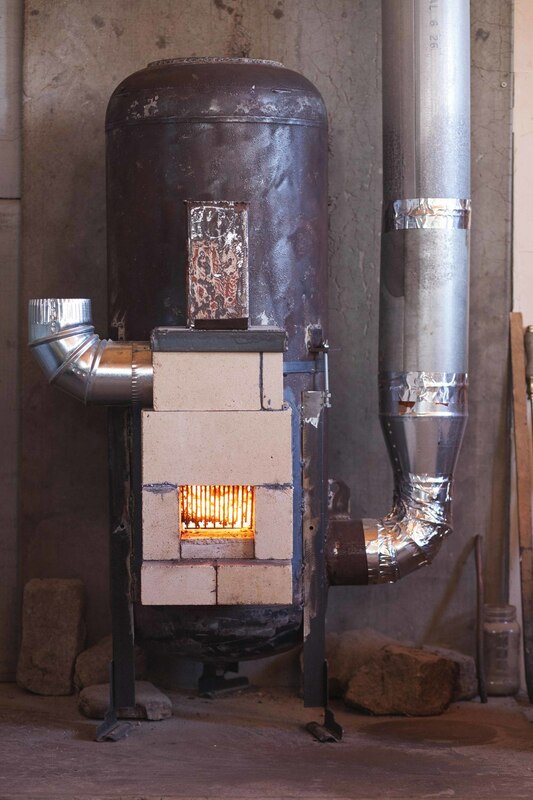 The overall rocket stove design is based on Zero Fossil Fuels design. If you're serious about building a stove like this (or anything similar), I highly recommend checking out his video tutorials for more build details. This video is a look at my final stove and the process of lighting. 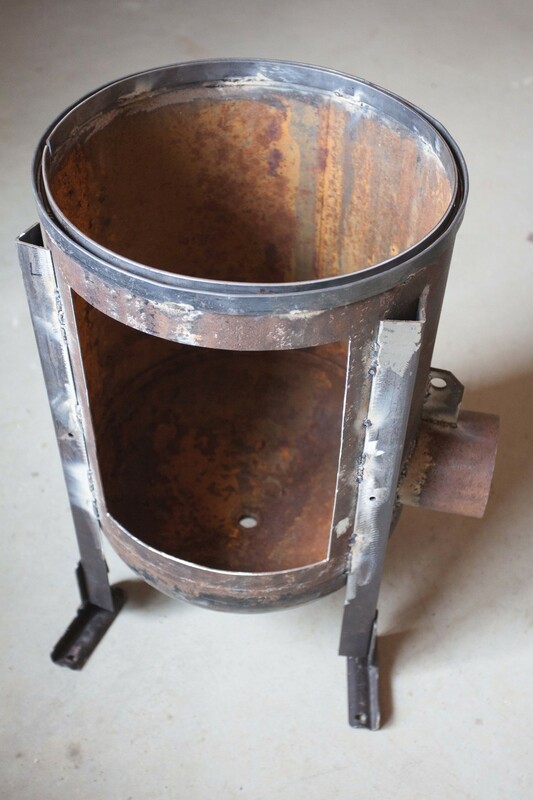 I built this rocket stove to heat my very small 12' x 18' (216 sq. ft.) woodworking shop. 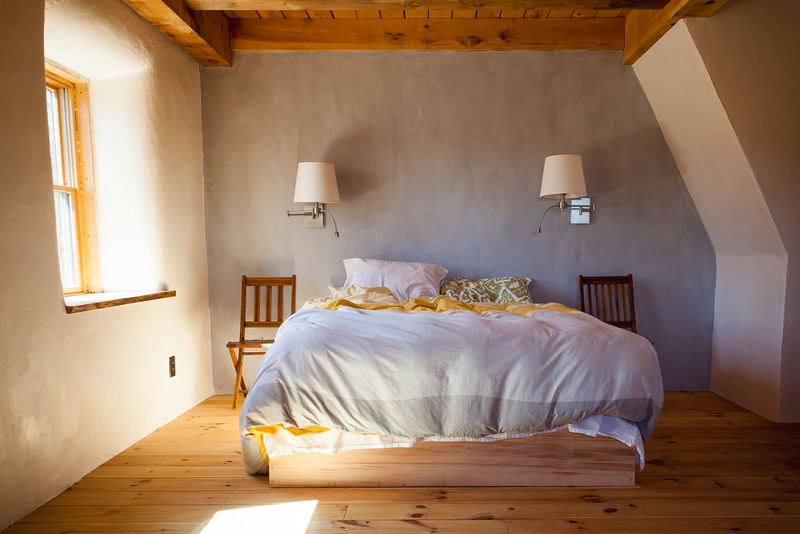 The shop has vaulted ceilings with a R-36 roof and a very porous R-13 wall system. On a typical winter morning here in the Adirondacks, the inside temperature can be anywhere from 10º below to 20º above F. Once the stove is lit, it typically takes about an hour and a half to bring the temperature to above freezing. In about 2-3 hours, the inside temperature will rise to 45º - 55º, and towards the end of the work day I usually stop feeding the stove altogether - sometimes I'll even open a window. 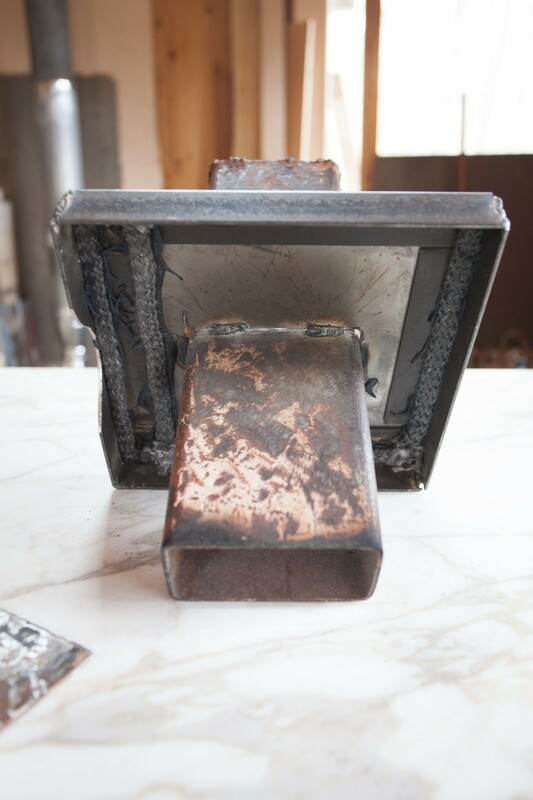 The rocket stove burns about 3 1/2 lbs of pellets per 1/2 hour when running on maximum. That number drops considerably when the air intake is throttled back. On average I burn about 17 pounds per day. At $5 per 50lb bag, that equals roughly $1.66 a day to heat my workshop. Not bad for a small off-grid workshop. This stove is also designed to burn scrap wood. 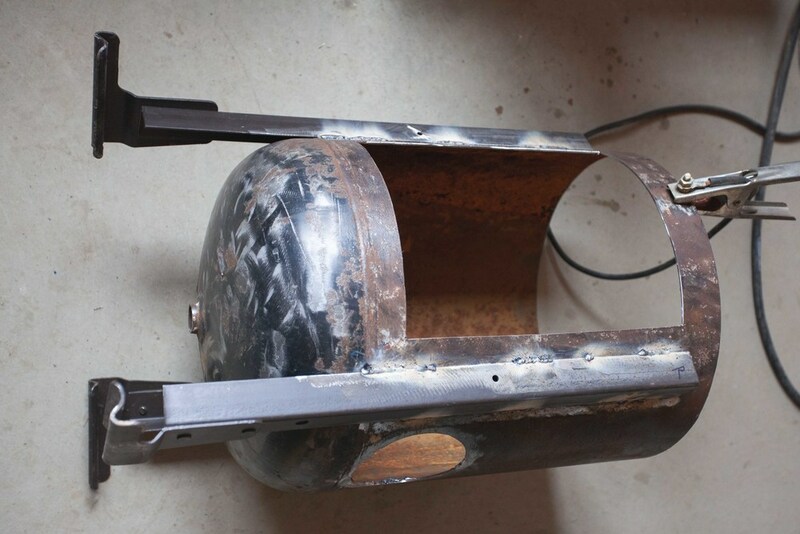 With the cover/ hopper removed, wood can be burned like any rocket stove with a J shape configuration. There are many small details to building this stove so please feel free to ask in the comments below or visit Zero Fossil Fuels YouTube build page. 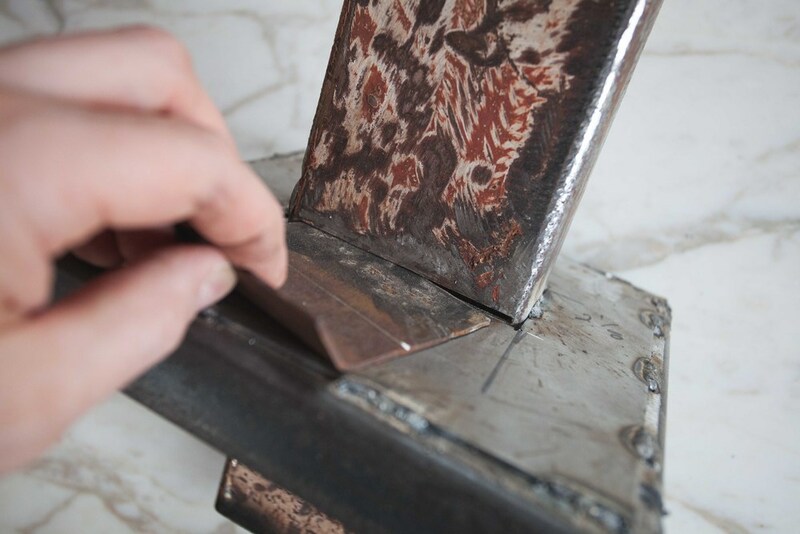 Long name – simple function: Perfect 45º miters every time. I've been struggling to get my miter cuts perfect while making some picture frames. As you may already know, my workshop is small and powered only with solar electricity. This leaves me without my large (power hungry) table saw and my trusted crosscut miter sled jig – so high volume consistency and accuracy is difficult with a regular "miter" saw alone. A friend of mine bought one of these machines a few years ago and I've wanted one ever since. They're not easy to find but as luck would have it, I found one on Craigslist only 150 miles away in Poughkeepsie, NY. They're a small fortune brand new at around $2700 so I think I did alright at $300 after a bit of haggling (which i love to do). These machines are simple, heavy-duty, dust free, and noiseless. With very little moving parts, they last forever. I'm guessing this one has been around since the 60's? I'll probably hang onto it for another 50 years or so. Eleanor Jane is 4 weeks old today and we are so grateful for all the family and friends who have helped us navigate our first month of parenthood. Grateful for all the delicious food, the giant HOORAY! sign, the gifts, the flowers, the advice, the cards arriving daily, and to the many, many people who have wished us well from all over the world. You are the reason we know little Eleanor will do just fine! - THANK YOU EVERYONE! The morning after sleeping in our new bedroom for the first time. Looking forward to the next 40+ years waking up in this (left) spot. The itch to build furniture has resurfaced so I decided to start milling what would eventually become a few side tables. I placed an over-sized log on the sawmill and began my normal routine of paring it down with a chainsaw. As the saw screamed and the wood chips sprayed my face, I remembered my old adze. After finding it stashed away in a dark corner, I jumped up on top of the log and made short work of removing large chunks of wood with every swing. Turns out the adze is quieter, quicker, and doesn't fill your pockets up with wood chips like the chainsaw will. Never forget about the old tools. Time to clean this adze up and keep it close at hand.